My spinning goal for the year has been 14 pounds. 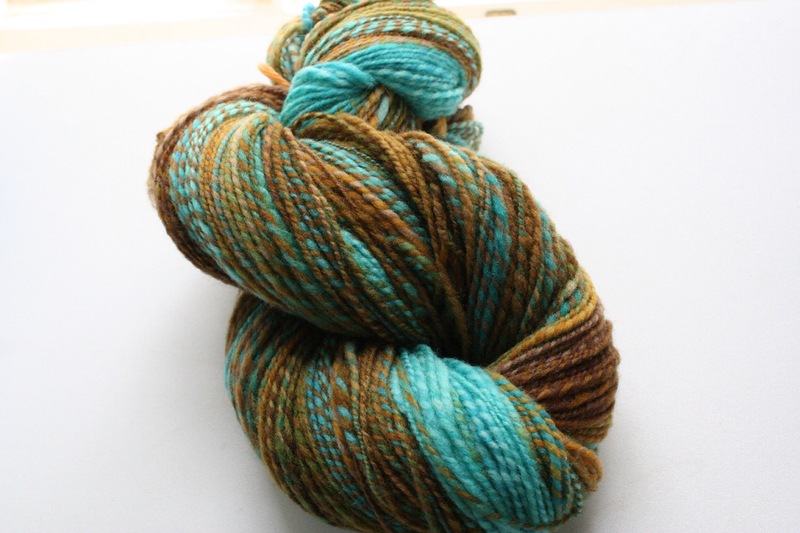 So far this year, I have spun … 12 ounces. Oh well, some spinning is better than no spinning, right? 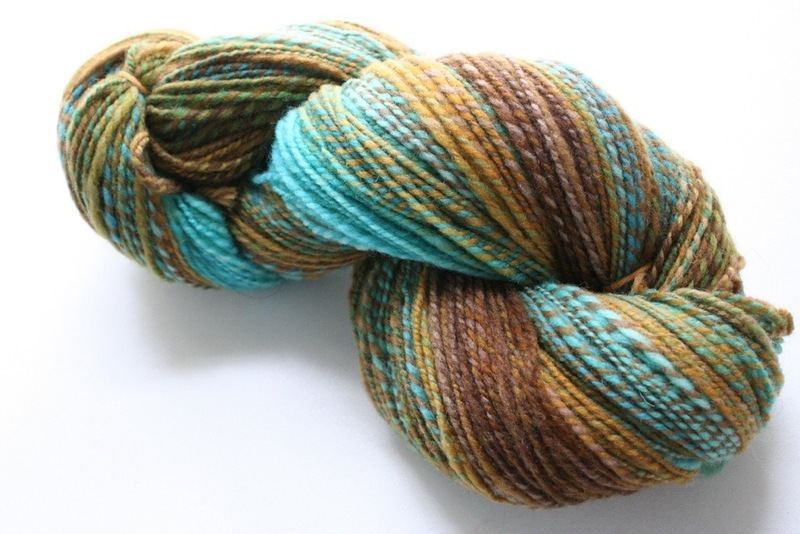 This is 4 ounces Hello Yarn Limited Edition American Wool Blend in “Ships and Whales and Icebergs,” (March 2013 Fiber Club) spun as a standard 2-ply, yielding 385 yards DKish- weight. I split the fiber once vertically down the middle, spun the first half straight as it came onto one bobbin, and then tore the second half into smaller chunks horizontally (four of them, I think), and spun from different ends of those smaller chunks all onto a second bobbin, then plied the two bobbins together. The effect was some barber-poling and some color-matching. Love that shot of blue! 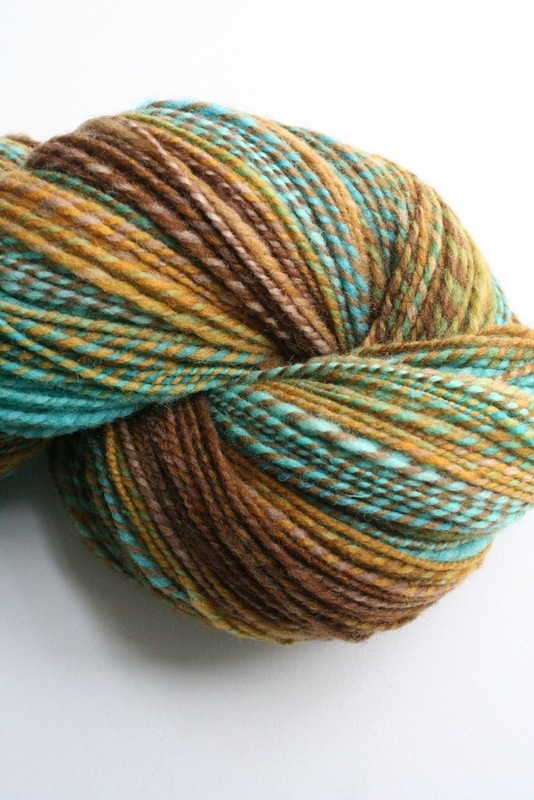 I have no particular intentions for this yarn. I just wanted to spin it up. So I did.